Malaysia is a country of contrasts and an interesting place to study. Quality of living and affordability make Malaysia a prime, hassle-free study destination for international students. A Great British education, from a Great British University in MALAYSIA! 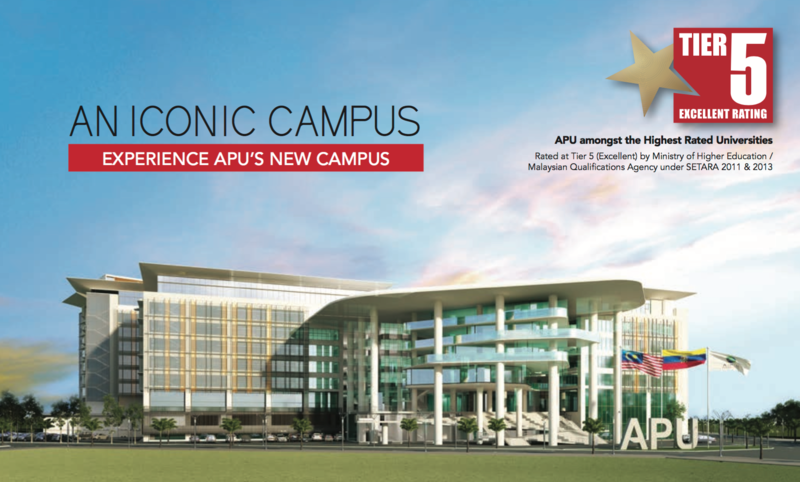 Study at Asia Pacific University of Technology & Innovation (APU) and get a Dual degree from Malaysia (APU) and UK (Staffordshire University) ranked 1st in England for teaching courses in Business and Economics. Undergraduate Courses available : Duration – 3 years. The 3-years APU Bachelors Degree Programmes are offered through a unique collaborative partnership between APU and Staffordshire University, United Kingdom, through which Staffordshire accredits 3-years undergraduate programmes that are designed and delivered by APU. On completion of the programme, students will be awarded two undergraduate Degree Certificates and Transcripts: one from APU and one from Staffordshire University. Affordable programs and easy admission! Contact CasaEducation team for more information : info@casaeducation.com or call +212522352571 .